WASHINGTON – The National Transportation Safety Board unveiled its 2016 Most Wanted List of transportation safety improvements Wednesday, calling it a “road map from lessons learned to lives saved.” The list focuses on 10 broad safety improvements on which the NTSB has made recommendations that have not yet been implemented. Several items on the list demonstrate the importance of technology in saving lives, preventing accidents and lessening the number and severity of injuries from accidents. For example, the list calls for promoting both the availability of collision avoidance technology in highway vehicles, and the completion of rail safety initiatives to prevent accidents. The list also calls for strengthening occupant protection in all modes of transportation, including laws mandating primary enforcement of seatbelt use, and age-appropriate child restraints. Twenty years ago, the NTSB issued its first recommendation on the use of technology to prevent rear-end collisions. Implementation of this technology could significantly reduce motor vehicle crashes – by far the leading cause of death and injuries in transportation. Although federal regulators have made progress toward including such technologies in the 5-star safety rating on new vehicles, the NTSB advocates including such new technologies as standard equipment on all new highway vehicles – including commercial vehicles — just as airbags and seatbelts are now standard equipment. The NTSB also called for completion of rail safety initiatives, including the implementation of positive train control (PTC). A 2008 law mandated implementation of positive train control by the end of 2015. Congress changed the law and implementation deadline late last year to avoid a possible rail transportation shut-down. NTSB Chairman Christopher Hart cited the PTC implementation as an example of why a sense of urgency is needed in implementing Most Wanted List improvements. “Every PTC-preventable accident, death, and injury on tracks and trains affected by the law will be a direct result of the missed 2015 deadline and the delayed implementation of this life-saving technology,” Hart said. The NTSB’s push to improve rail transit safety oversight was in part a result of the agency’s investigation of a deadly smoke event last January near Washington’s L’Enfant Plaza Metro station. The accident exposed many safety issues, some of which resulted from shortcomings in the safety oversight of WMATA. This year, the NTSB will continue to examine the way that the Federal Transit Administration is implementing such oversight – not only in Washington, but nationwide. Improving rail tank car safety by phasing out the use of DOT-111 rail tank cars to transport flammable liquids such as crude oil and ethanol is another improvement addressed in the 2016 Most Wanted List. The deadline for implementing such tank rules is 2025. Until these tank cars are removed from service, people, their towns, and the environment surrounding the rail system remain at risk. 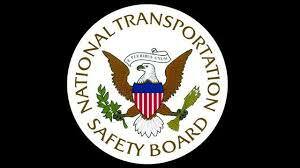 Distraction (especially from portable electronic devices) and fatigue continue to be serious safety issues in all modes of transportation, and the NTSB’s 2016 Most Wanted List addresses them all. The list also notes that undiagnosed and untreated medical conditions have caused or contributed to accidents and calls for operators and regulators to require medical fitness for duty. Impairment is also an issue in all modes of transportation. The NTSB has recommended lowering the legal limit on blood alcohol content to .05 to reduce deaths and injuries on highways. However, drugs other than alcohol can also impair drivers and operators of other types of vehicles – whether these drugs are recreational, over-the-counter, or prescription. Another improvement on the 2016 list is preventing inadvertent spins and stalls within the general aviation community – the worst safety problem facing general aviation. While airlines have become very safe, safety progress has slowed in the less widely understood world of general aviation. All of these most wanted transportation safety improvements are the result of our accident investigations. Our most powerful tool to learn safety lessons from accidents is data recorders. Thus, the list calls for their increased use in all modes of transportation.